Tim and Myles Thompson have been inspiring audiences throughout the country. 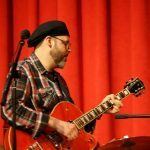 With recent performances that include the Montreal Jazz Festival, Walnut Valley Festival, Sisters Folk Festival, Pagosa Folk ‘N Bluegrass Festival, and the Chet Atkins Festival, they have polished their craft to a fine luster. The duo has opened for Spyro Gyra, Don Williams, Mountain Heart, Richard Elliot, and are doing many 2016 tour dates with Wynonna and the Big Noise. 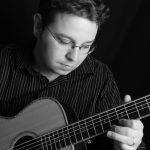 Tim is a Nashville based session player, singer/songwriter and the 2008 International Fingerstyle Champion. Music has always filled the Thompson home; unknowingly it inspired Myles to pick up the violin at the tender age of five! By the age of twelve he was studying music theory and improvising with skill beyond his years – it was clear that music would be his life. Today at the ripe old age of twenty-one Myles is also a prolific singer/songwriter and mandolin player.